Uzma Baig is a Nationally Certified Counselor (NCC), specializing in school counseling. She holds a master’s degree in counseling from Virginia Tech. 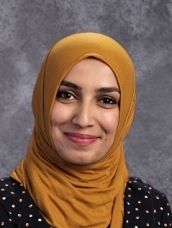 Prior to this position, Uzma was a counselor for Northern Virginia Community College’s Pathway to the Baccalaureate Program serving Fairfax County Public School (FCPS) students in the areas of college and career readiness. In addition, she has worked with school-age students in a variety of areas such as bullying, diversity, special education, child development, groups, academic planning, social & emotional learning, suicide prevention, and character development. With her roots in FCPS since 2009, Uzma understands the challenges experienced by our youth today and works diligently to help them discover their own, unique path.